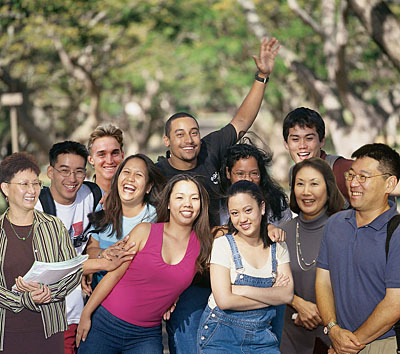 Effective January 2003, the University of Hawai‘i system implemented a Tobacco Products policy in an effort to improve the working and learning environment of the university, and protect faculty, staff, students, and visitors from secondhand smoke exposure while on University of Hawai‘i campuses. All university residences will become smoke-free by the start of the 2004-2005 academic year (residences will be 80 percent smoke-free by the start of the 2003-2004 academic year). Tobacco product cessation guidance will be made available to assist and encourage individuals who wish to quit. Supervisors may authorize employees who wish to avail themselves of such programs to do so without any loss in pay. This policy applies to the entire university community, including faculty, staff, students and visitors. The Office of the Vice President for Administration and Chief Financial Officer is responsible for policy implementation and compliance in collaboration with heads of all UH campuses. Questions, comments, or complaints relating to this policy should be directed to each respective campus head of designees.